Wall of Gale Crater, Mars. See the awesome Mars links at the end of this post. Informative article in the New York Times on the origin and meaning of the term “Big Data,” in layman’s terms. Make sure to go to Khanacademy.org and view the intro video there. Good Stuff. Microsoft’s online applications have been getting significant facelifts in conjunction with the pending launch of Windows 8. A couple of weeks ago, Hotmail was updated and essentially renamed to Outlook.com. Now it’s SkyDrive’s turn. Business/Computer Science professor Panos Ipeirotis offers up empirical evidence that programmers working as individual contractors or very small teams produce higher quality work than those working for large contracting organizations. 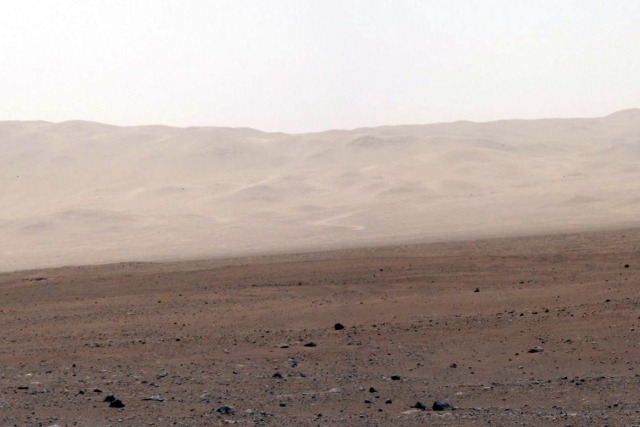 1 – An awesome 360° Mars panorama courtesy of the Curiosity rover and panoramist Andrew Bodrov. Nota bene: this is as much art as photography. Bodrov used actual NASA Curiosity photographs, but there was not enough source material for a full color 360° panorama. Bodrov used Photoshop to add color, sky and other elements as described here. 2 – When I was a young, we nerds didn’t get much respect. Now NASA /JPL and Curiosity have made space nerds so cool they’re worthy of high quality parody music videos. You young nerds of today should be grateful!